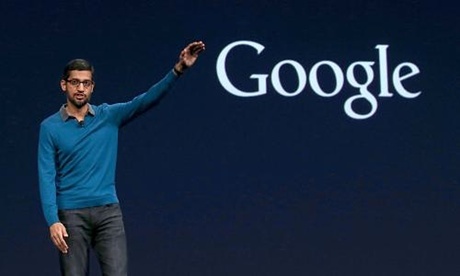 Google have announced a major overhaul of its corporate structure. Yesterday the company that used to be called Google is said it will become a new holding company called Alphabet. The URL for the new company is abc.xyz . A smaller company called Google, headed by CEO Sundar Pichai, which includes the company's core businesses: "search, ads, maps, apps, YouTube and Android and the related technical infrastructure." Other business interests like Calico, Nest, and Fiber, as well as its investing arms, such as Google Ventures and Google Capital, and incubator projects, such as Google X," which "will be managed separately from the Google business."